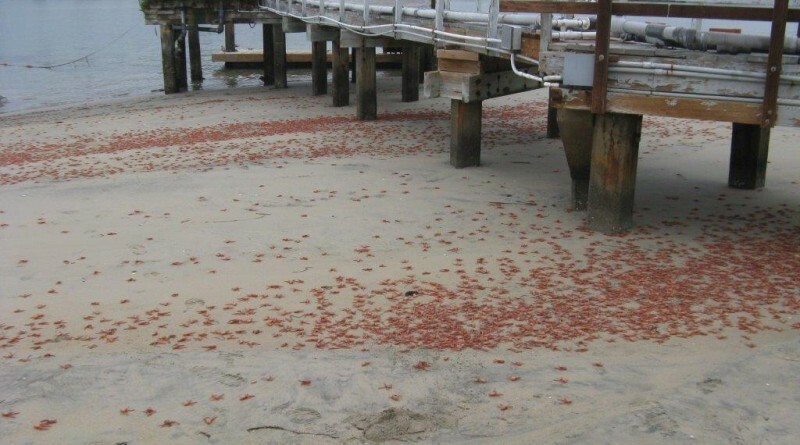 Newport Beach was one of many Southern California cities to experience the influx of red crabs on its shores in May. Pelagic red crabs – or tuna crabs – live in warm waters closer to Baja but warmer-than-usual ocean temperatures and ocean currents carried them north, according to Michelle Clemente, the city’s Marine Protection division supervisor. City maintenance crews cleaned the crabs off some bay beaches on Little Balboa and from some bayfront beaches.